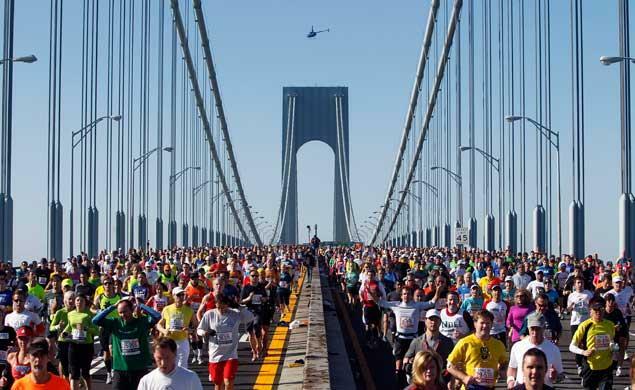 Today is marathon Sunday in New York City and, for years now, I have lived less than a block from the marathon route. It is one of the most exciting days of the year for me and I love walking down to the end of my block to join the over one million spectators who line the 26.2-mile route to cheer on the runners. All too often, New Yorkers are thought of as people who just don’t care about others. Per the stereotype, it’s just keep out of our way, don’t look us in the eye and don’t do anything that will slow us down and we won’t have any problems. Marathon day is a day when I am reminded that the city is a city full of people who do things like come out to cheer and high-five strangers as those strangers test their bodies and spirits. I love it. There are moments, such as the marathon, that bring out the best in people. Disasters, as sad as they may be, also bring out the best in people. People come out and give time, money and other resources to help those in need. Tragically, disasters also tend to bring out the worst in some people. Some among us see disasters as a great opportunity to take advantage of others, for personal gain. Some of the fraudsters are blatant in their unscrupulous ways because they are targeting the desperate among us. A current example is the migrant crisis in Europe, where refugees, seeking to escape dangers at home, will give up all their resources in the hopes of reaching a safer place. Instead, some hand over money to greedy criminals who then lead them into more danger and, sometimes, even death. Other fraudsters are more slick in their strategies to profit from the suffering of others. In recent months, natural disasters such as fires and tropical storms, have left many in the United States needing assistance. Just in October, while communities in South Carolina were struggling to recover from flooding damage, warnings were being sent out because of an influx of fake charities. These counterfeit charities, preying on the generosity of those wishing to do something to help the displaced and impacted, were taking people’s money and doing nothing to help those in need. Just a couple of days ago in New York, a company agreed to pay a settlement of $700,000 for pretending to collect secondhand clothing to help charities. Instead, this company sold the clothing, paid almost nothing to the charities and made profits of over $10 million dollars, it is estimated. Because, even in situations where we should be helping others, there are those who are looking to help themselves at the cost of those around them, it is important to be vigilant. It was Halloween yesterday and parents were checking to make sure that the treats that their kids collected were safe for consumption. Yes, people may appear to be doing good things, but it is only smart to make sure that everything is above-board. Even though it may seem like a drag, check up on who you are giving your money or time to. The name may sound familiar, but make sure it really is who you think it is. If you feel uncomfortable about something, it is okay to say no. There are many opportunities to give back to those in need and you will find the opportunity where you are sure that what you are doing is benefitting those who need it. Don’t give your personal information to anyone. If you believe that you have been scammed, contact your local authorities and report it. Giving is a vital part of what makes us communities. Just make sure that you are giving to the right people and not the unscrupulous scammers around. You know, like that obnoxious person in the neighborhood who decides that they just have to cross the street as the runners are passing by. Don’t give that guy the time of day.